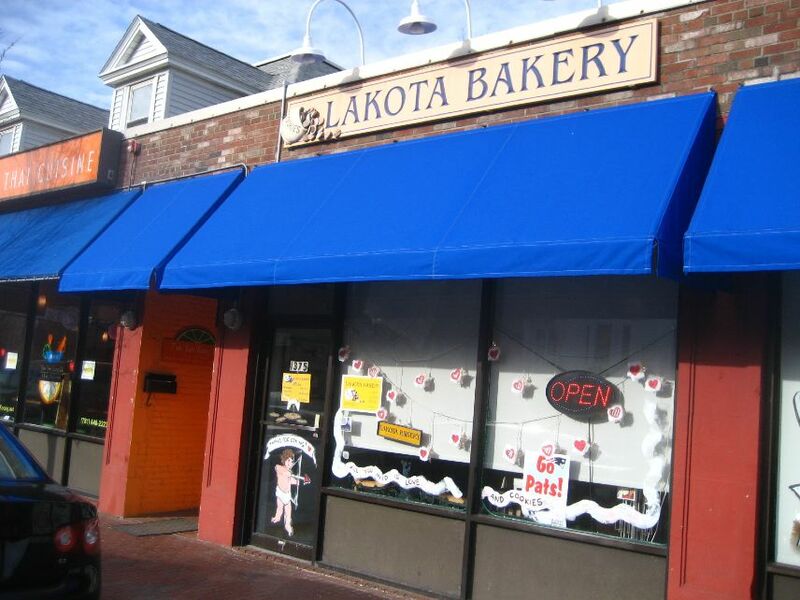 You may have never heard of Lakota Bakery, but there’s a chance you have seen or even tried their buttery, flavorful cookies. They are regularly sold at shops and cafes including Cardullo’s, Darwin’s, Formaggio, and others. Occasionally if I find myself in Harvard Square and wanting a small treat, I’ll stop into Cardullo’s and pick out a Lakota cookie. If it exists though, I’m always curious to check out the bakery’s own storefront. And exist it does, on Mass Ave. in Arlington. 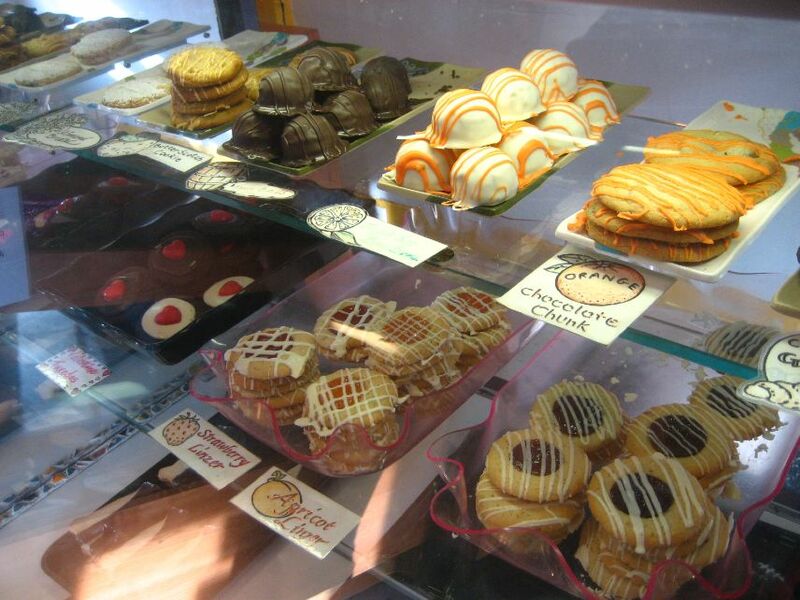 The shop is small with two glass cases displaying over three dozen varieties of cookies, including almond macaroons, sandwich cookies, shortbread, linzers, and drop cookies. Most cookies are adorned in some way another, with a drizzle of icing or a coating of chocolate. I am often skeptical of “pretty” cookies because they so often go for looks over substance. Lakota’s succeed at both. The first cookie I ever tried was a lemon macaroon. I went into the bakery with the intention of getting a diverse selection of cookies, but try as I might, I just kept returning to the sandwich cookies. The mocha cream sandwich has two mellow tasting butter cookies that give way to a richly flavored mocha buttercream. 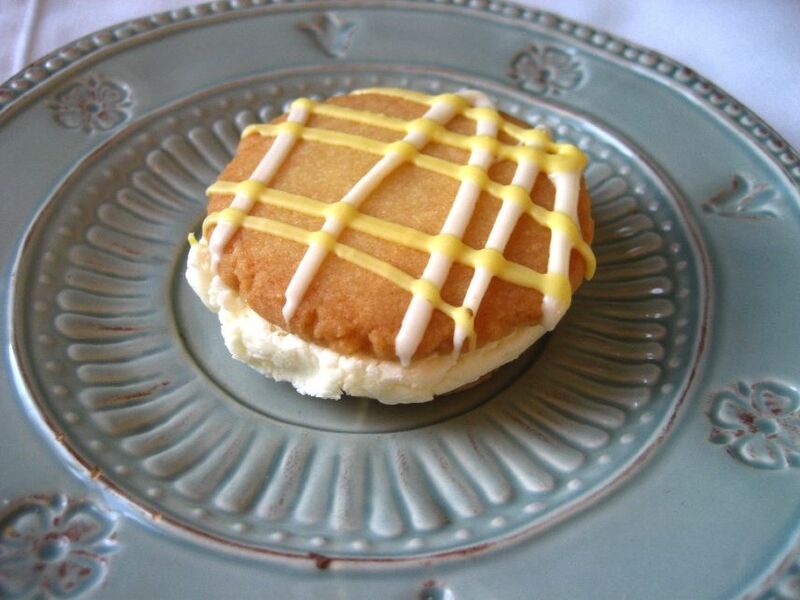 The lemon cream sandwich had no shortage of sugary buttercream filling surrounded by crisp butter cookies. The lemon flavor was more sweet than tangy and pleasantly reminded me of a certain powdered sugar-covered lemon cookie that I ate when I was younger. 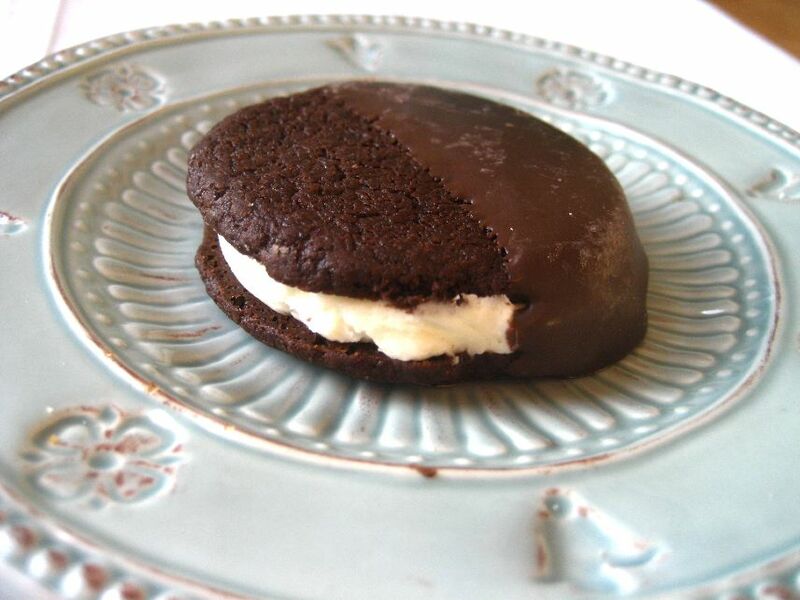 The chocolate cream sandwich was very Oreo-esque, with a crispy, dark cocoa cookie and grainy buttercream center. The chocolate coating took the richness of the cookie to another level and helped to marry the textures of the crispy cookie and the fluffy buttercream. 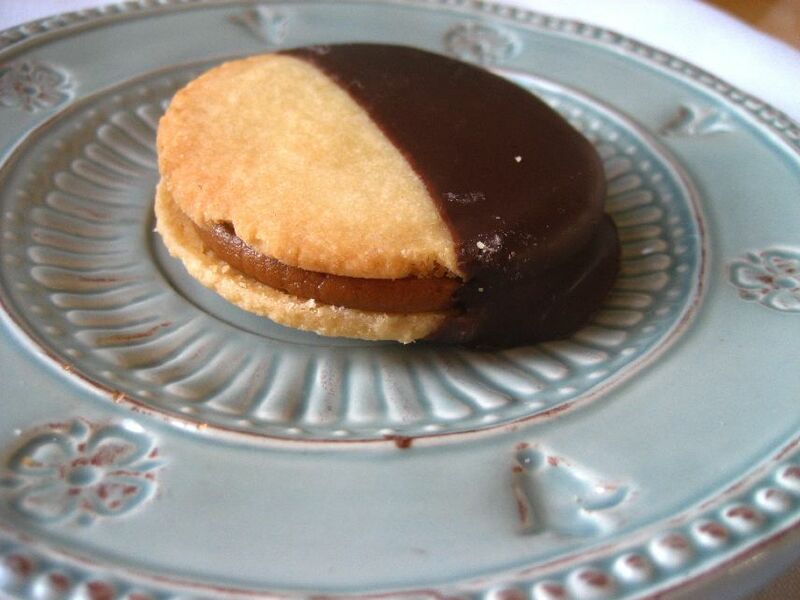 Lakota cookies make for an elegant and inexpensive (did I mention each cookie is only $1.35?) sweet treat for one, or get a box-full the next time you need to bring something to a get-together. 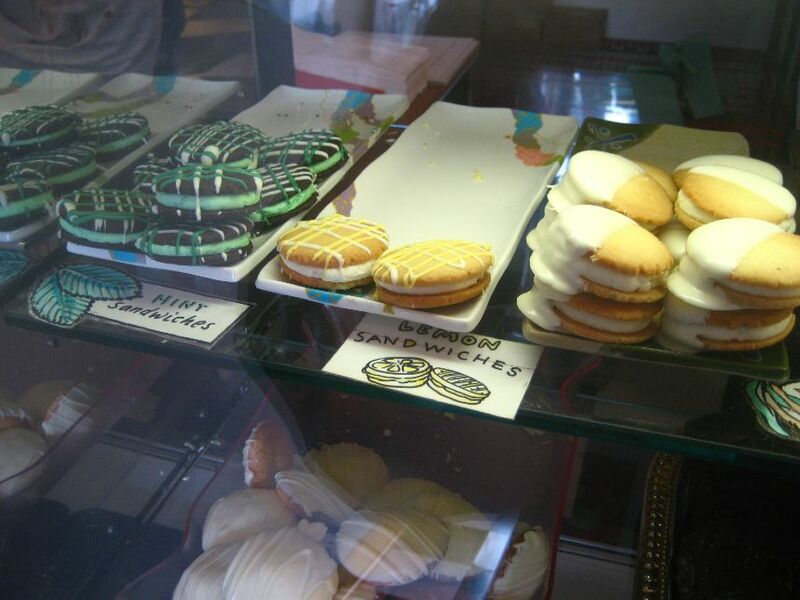 If you find yourself at Cardullo’s, Formaggio or any of the other shops the cookies are sold, keep an eye out for them. Or for the full experience, make a date to visit the shop in Arlington. This entry was posted in Boston, Reviews and tagged Boston, Cookies, massachusetts, sandwich cookie. Bookmark the permalink. I often see Lakota’s goods around town but have never ordered one. The brick and mortar shop looks so cute. I love a good bakery sugar cookie! The mint sandwich looks tempting!! they have such an unassuming storefront! great discovery. cookie sandwiches are the best. I love that there are so many sandwich cookies! Ah yes I am familiar with this cookies from Darwin’s. Good to know where they came from! I have never heard of Lakota. It looks adorable! that mocha buttercream look amazingggggg! i want. oh wow, what a nice, cheap sweet treat 🙂 loving the looks of that mocha buttercream! I am a huge cookie fan – that chocolate cream sandwich is totally up my alley! I would like that chocolate sandwich cookie right now please! I can’t believe how inexpensive they are! What a treat! I would have a hard time veering away from those cookies long enough to try anythign else also. They all sound so delicious! These all look so gorgeous! ^^ The chocolate cream sandwich looks very interesting! I love their macaroons!!! So almondy and delicious!! OMG!!!!!!!!!!! I need these in my life!